Erg mooi met die kleurtjes en in een mandalavorm. 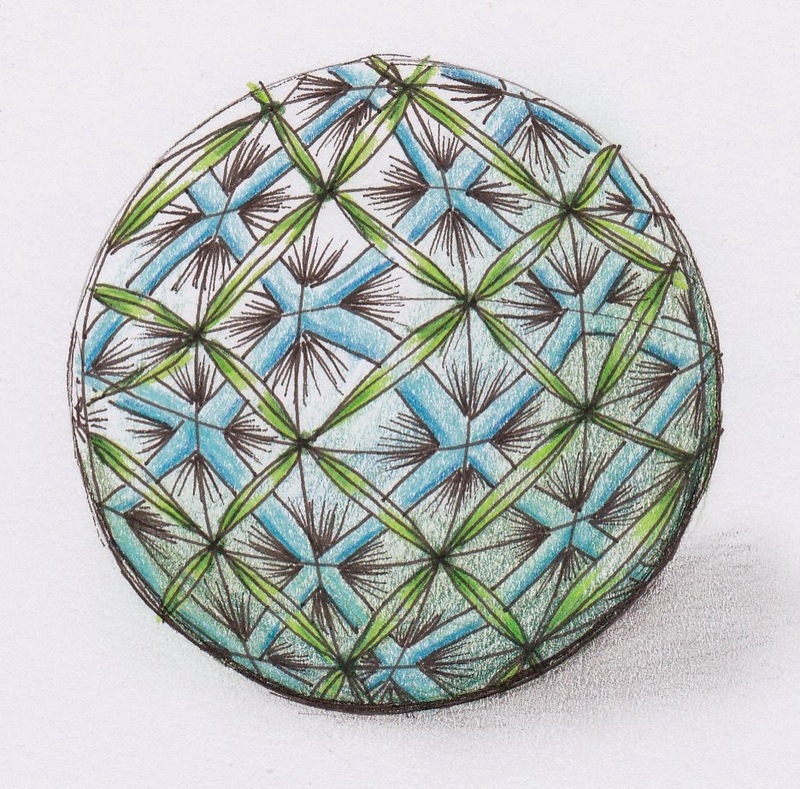 Fitting a flat drawing around a sphere, is never easy. You have done a wonderful job. I like it just the way it is. Your shading really made the sphere real. Beautiful, Mariet. Very nice. I had a similar idea, but you've done it better! Love it! sphere work is so challenging,and you've done a terrific job. And the colors are delightful. well done. Love the color and the sphere idea! I agree that this tangle is a good one for a sphere. You did well with it. Mariët you did really well! It is a tricky one to curve. I think you did very well, and I love the colors you chose. Two of my favorites! Misschien niet 'volmaakt' Mariët, maar dat is juist het mooie! Ik heb me nog nooit gewaagd aan zo'n 3D cirkel, wie weet ga ik het nu proberen. This is a difficult tangle to put in 3D, I think you did really well! Ik vind hem toch heel mooi geworden hoor! De kleuren maken het ook echt helemaal af. This is a beautiful Crux-ball! Great idea ... and lovely colours! heee! dit is leuk! prachtig! Beautiful color and using it in a sphere was awesome!